Pushkin Press, two years into new ownership and going from strong to stronger, is one of the few publishers I buy books from on reputation alone (see also: NYRB Classics, CB Editions, Penguin Modern Classics). Their untouchably handsome Pushkin Collection titles, designed by Clare Skeats and David Pearson, are usually new translations of overlooked 20th century world fiction. This is a slight variation: a reissue of a book already translated: the first English edition was published thirty years ago. Fortunately, Pushkin’s eye has not dimmed: this tiny novel, which Alan Sillitoe called “the book of this damned century,” was worth reissuing. A Childhood (Kinderjaren, 1978; tr. 1983 by Ralph Manheim) is a short book – on normal sized pages it would be below 100 pages; in the Pushkin Collection it stretches to 127 – and this will be a short review. What to say about it other than to admit that it approaches perfection? So engaged was I while reading it that I didn’t even mark any notable passages as I went, so this review will be light on quotes. But there might be another reason why I didn’t. The key to the book’s success is its absolute submission to the viewpoint of its narrator, a boy who is seven years old at the book’s end. So the language is plain, unaffected, with not many memorable sentences or shiny turns of phrase. We are completely within the boy’s head, and we take from the events only what he takes. When the book opens with his mother saying, “Don’t be afraid. Everything’s all right. I’m right here,” we might suspect otherwise, but there is no authorial irony overlaid: the narrative is entirely unadulterated (pun intended) by grown-up insights. In the opening scenes, the boy is first in darkness and then has his eyes closed, and the trust he must put in his mother to guide him fairly represents the reader’s dependence his words. This is a rare achievement and a delight, because my experience is that very few narratives do restrict themselves completely to their character’s viewpoint, and they lose plausibility and connection as a result. A third person narrative is typically told through one character’s eyes at a time, yet how often I find myself howling in horror when a narrator starts describing or contemplating things that no real person ever would in that situation. Often this is background detail or ‘helpful’ colour: a character reflecting on their job or home life in a way that nobody really would, except that it saves having to convey the information to the reader more subtly. Take this story by thriller writer Matthew Reilly, where a character looks out a tower block window in Manhattan and notes the buildings he can see, and then devolves into guidebook gabble with: “In the concrete jungle in between the river and the Empire State, the keen tourist would find Grand Central Station, fashionable Fifth Avenue, and on the banks of the river itself, the UN building.” That is an extreme example, but it’s remarkable how few writers really do control the viewpoint properly. William Golding is one: in The Inheritors, Pincher Martin and The Spire he gives the reader only what his characters might be thinking. It makes for harder work, but the benefits – involvement, plausibility, intensity and force of narrative – are multiple. Oberski balances the information carefully. There are a few details which direct the reader on what might be happening: references to a country the family wants to travel to, a decoration the boy’s mother sews on his coat. Only later do we get specifics, as the information might reasonably have seeped into the boy’s consciousness. What we see is clear but concealed. In writing about it this way, I am withholding details artificially, and anyway it is not a surprising or unique setting, but I do think it worth reading cold, without much advance knowledge. Where the technique is most effective is when the boy is viewing adult emotions without experiencing them himself: the reader can feel them strongly, with the boy as a symptomless carrier, but without seeming to be manipulated. (The manipulation is there, but it feels as though the reader is doing some work along with the author, so it slips smoothly by.) And there is a powerful swell of direct emotion as the book ends, and a pleasingly ambiguous future is suggested. We are left only with a beautifully judged epigraph facing the final page, which seems to bolster the idea, never far off, that this was as much memoir as novel. A word in conclusion about the cover image. The delicate illustration is by Eleanor Crow, and is based on the cover image for the Dutch edition. 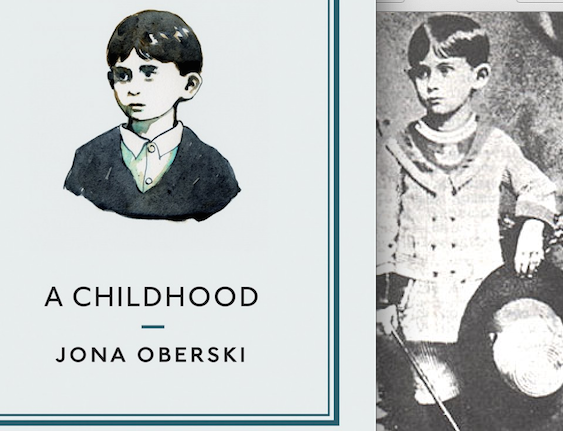 However it seems very likely that the original drawing was based on this photograph of Franz Kafka at four years old (as pointed out by Steve Mitchelmore, when I tweeted the cover). An odd connection: anyone with any understanding of this should make free in the comments section below. I’m sure I would enjoy this book, and I like what you say about the reader feeling as though they are completely inside mind of the boy. It must be very difficult to create an authentic voice for a child narrator, but it sounds as if the author nailed this aspect. The books in the Pushkin Collection are so reliable; I’ve yet to be disappointed by one. Sounds excellent, you hooked me with the comment about perspective and the reference to Golding who manages it so well in The Spire and the The Inheritors. In Canada it will be released as a Penguin Classic on November 25, it looks like Random House (or is that Random Penguin now?) is the distributor for Pushkin Press here. Max looked at himself in the mirror. His recent mat exercises had helped his stomach definition, but he was still carrying way too much weight. His blue eyes looked steadily back at him then suddenly, decisively, he closed the bathroom cabinet and spat out the toothpaste. Or, put another way, I do know what you mean about terrible internal perspective writing. That old looking in the mirror trick is usually a sure sign of it, the author wanting to wedge in some info but having no credible reason for the character to actually think of it, character description being particularly an issue when writing solely from the character’s own perspective. As for this, straight on the list, sounds like a definite find. Besides, Sillitoe and John Self recommended it. Sounds great, and short! Will have to watch out for it. the note about staying inside the narrator’s head – this brought to mind Kertész ‘Fatelessness’, which is totally invested in its 14 year old narrator’s point of view, so much so that the story he tells, well known to most, becomes completely knew. These books look pretty good; will have to check these out some time. I recommend reading these books if this is your taste of reading material. I was the US editor at Doubleday, with our European editor, Beverly Gordey, who acquired KINDERJAHREN at the Frankfurt book fair and arranged for Ralph Manheim to translate it. it was a profound experience for me, after rejecting many holocaust memoirs, to connect with this one so subtle and powerful in Manheim’s translation, and to be able to work with designer Marilyn Schulman and the production team at Doubleday to give it just the right “package,” of 2-color printing and delicate drawings of childhood toys on the title page and each chapter opening. It was a labor of love for all involved. My thanks to Beverly and to Marilyn and all at Doubleday who were essential to the process! I would be grateful to anyone who can tell me which other memoirs by Oberski may be available in English translation. 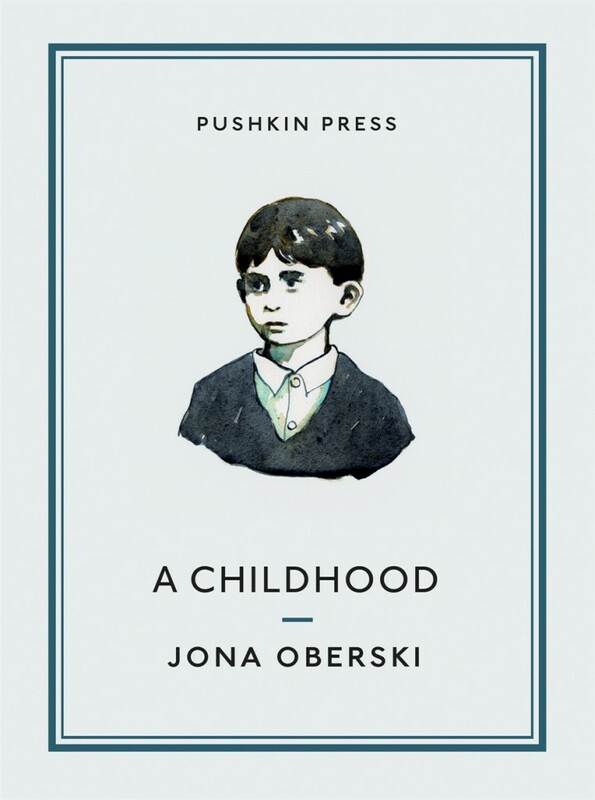 In response to the comment about the “docu-drama penguin cover,” of CHILDHOOD, I recommend the trade harcover edition for its very different, and quite haunting, cover image, a photo of Jona Oberski himself, I believe. Though probably out-of-print, I was able to locate a copy through AbeBooks.com and there would probably be other volumes available.